Unfortunately, Governor Brown chose to focus moral outrage on the climate issue alone, and he failed to make the moral argument against California’s public pension system, which represents the state’s greatest financial challenge since the Great Depression and is a severe threat to future generations. But by any measure, the piecemeal approach has failed, and public pension reforms thus far have been inadequate. As noted by the New York Times: “Changes in the [California] state employee pension system approved last year  do not, in the view of most analysts, come close to addressing the long-term pension liabilities over the horizon.” And the state legislature will likely backslide on its CalSTRS teachers’ pensions funding plan, approved in 2014, once the additional payments begin to really pinch. CalPERS estimated that the 2012 reforms will save the fund between $42 billion and $55 billion over 30 years, while CalSTRS said it will save $22.7 billion over 30 years. These savings might sound substantial until one realizes total unfunded liabilities for these two pension behemoths are at least $275 billion. Significant reforms are still needed, and the moral case for change is strong. The failure to fully fund the pension promises is a moral failure: allowing the current generation to receive public services that they are not fully paying for, and pushing the costs onto future generations. The unwillingness to confront the true scope of California’s pension costs, to pay for the promises made, and to make changes to control future obligations means these costs are being pushed onto our children and grandchildren, who are being used as piggy banks to pay for promises they did not make and for services they did not agree to. The injustice of this system is apparent to anyone who cares to see. Left unchanged, the financial burden of the pension system will crush our children and grandchildren, leaving them with a depleted future and a depleted California. The responsibility to fix this problem is as great as any moral imperative because it directly impacts the quality of life our children will enjoy and their chances for upward mobility. Governor Brown should put pension reform at the top of his agenda to help restore the California dream. My forthcoming book, titled California Dreaming: Lessons on How to Resolve America’s Public Pension Crisis, explains how six reforms would fix California’s pension crisis permanently in an equitable, responsible, and moral way. The book is a blueprint for reform, not just for California, but also for the rest of America. Courageous political leadership will be needed to get the reforms in California Dreaming adopted. Governor Brown told the New York Times in August 2013: “I’ve said there needs to be more pension reform.” As he enters his final term as governor, now is the time for Brown to pursue additional, meaningful changes. 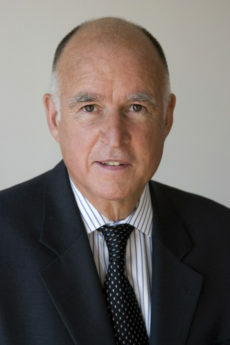 In his inaugural speech, Governor Brown said: “[T]he challenge is to build for the future, not steal from it, to live within our means and to keep California ever golden and creative, as our forebears have shown and our descendants would expect.” Governor Brown is in a position to live up to these words by being the elder statesman on pensions, to stand above partisanship and demonstrate true political leadership by helping to permanently solve the pension crisis. This is the moral thing to do.